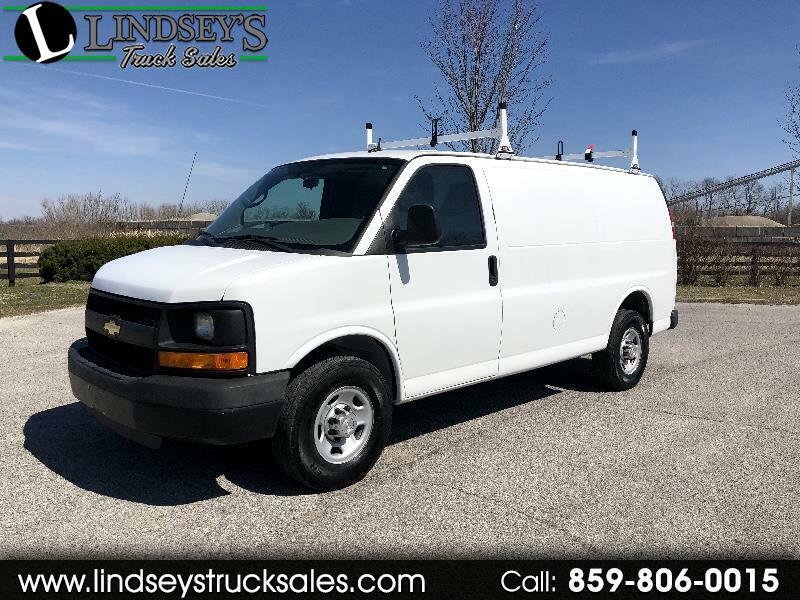 Low mileage off lease cargo van with nice contractors package! Van features include 4.8L V-8 engine -- automatic transmission -- 3/4 ton chassis -- cloth top bucket seats -- AM FM stereo with auxiliary input jack -- 110w dash outlet -- power door locks -- vinyl floor mat -- cab divider -- swing out side doors -- aluminum ladder rack -- bin storage system -- cargo mat -- steel wheels and more. Fleet maintained van with excellent tires all around.